Here is a new direction for Fruits de Mer. Up until now their vinyl releases have been focused on psych, prog, and Krautrock. With this new 7-inch they are moving into acoustic instrumentals. 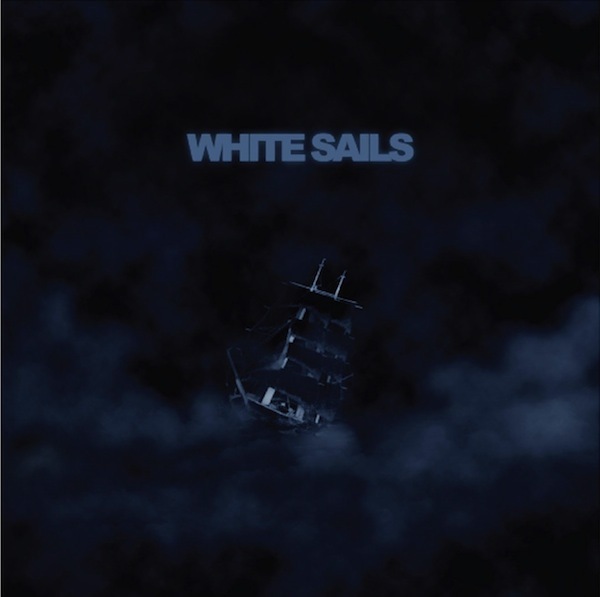 And to kick off this new direction they enlisted the talents of Leigh Gregory, Ville Vilpponen, and Jaakko Vilpponen from San Francisco, AKA White Sails, to record four beautiful instrumentals: two are covers keeping with FdM traditions, and two are original. But if I told you that the two covers are Black Sabbath songs you might do a double take! Hidden away on Vol. 4 and Sabbath Bloody Sabbath were two simple little instrumentals: “Laguna Sunrise” and “Fluff.” I am not at all familiar with these songs, but the White Sails’ renditions are superb! The acoustic guitar work is outstanding and could be compared to Fernwood. “The Answer” is by Ville Viloppnen and is another tune in the same mood with acoustic guitar, synths, and organ. But the closing song by Leigh Gregory “Death on a Pale Horse” is in a league by its own. The acoustic guitar and drums produce more of a gothic western vibe and you can easily visualize the dust covered Man with No Name riding into town and people cowering behind closed doors. Overall, an excellent addition to the FdM catalog and well worth investigating.